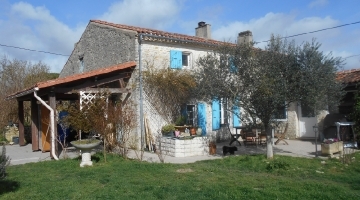 Our latest properties in France for sale by owner. The ideal second home. Accommodation over three floors approximately 120 square metres in total plus 100 square metres courtyard and garden. 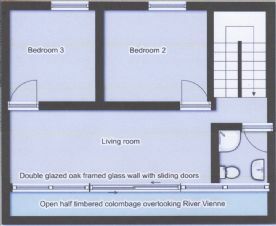 If you are looking for the ideal second home on the banks of a beautiful river you must see this. This former artisan’s tannery has been beautifully restored in consultation with the Architecte de France to preserve original features of exposed architectural timbers, and gleaming white walls which highlight the areas of exposed stone. The house is double glazed (apart from three small windows), staircases and two floors are in oak, whilst the top floor is in chestnut boards. The electrical wiring was mostly renewed three years ago and the house has a mains fresh water supply and mains drainage. 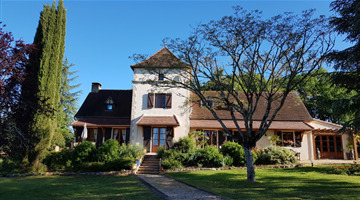 The piece de resistance is the top floor with two bedrooms, a shower room with wc, and a splendid sitting room overlooking the Vienne river through the double glazed sliding doors, and old timbered colombage – ideal for those relaxed evenings. 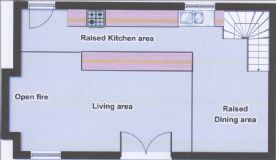 This floor offers a superb self-contained setting for your guests. 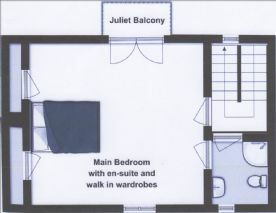 On the middle floor is a large master bedroom with walk in closets, and an en-suite bathroom. To the front are views over the river: to the rear French doors lead to a Juliet balcony overlooking the south facing courtyard. The ground floor is open plan with a sitting area around a huge log burning open fireplace, and a raised kithcen area and a dining area. The house has an open front garden beside the river – perfect for summer lunches. 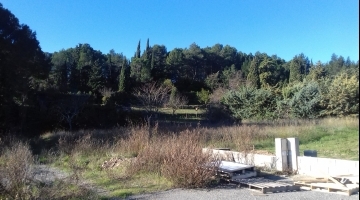 The house is a five minute walk to the centre of Eymoutiers, with all necessary shops and facilities, plus an art gallery which has regular exhibitions (Picasso, Klee, Leger among others in the last few.years) . Eymoutiers is easily accessible by air to Limoges some 40 kms to the west or by train, and is the gateway to the Lac de Vassivieres for relaxation and water sports. This property has now been sold.